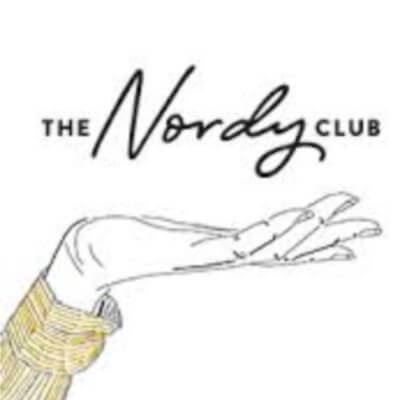 Nordstrom Inc. announces a new customer loyalty program, The Nordy Club. 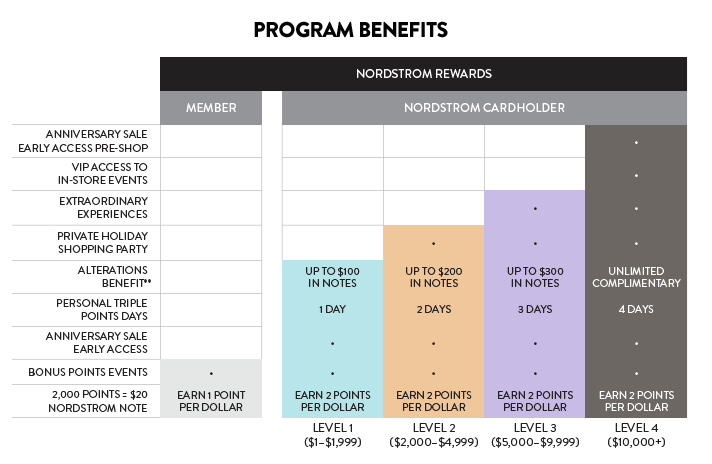 The program replaces Nordstrom Rewards and incorporates the traditional point system and favorite benefits of its previous loyalty program while offering customers personalized and enhanced service and experiences including exclusive access to product and events, along with more convenient ways to shop. The tender neutral program rewards customers regardless of their payment methods. It makes sense that Nordstrom continues to offer a multi-tender program as it enables Norstrom to achieve higher penetration and engagement than a loyalty program tied to just its proprietary Norstrom Credit card. 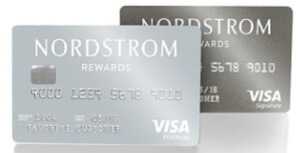 With the new Nordy Club, Nordstrom Credit Cardmembers e earn rewards at a faster earn rate. Nordstrom Credit Cardmembers earn three points per dollar for purchases at Nordstrom, a 50% increase in earn rate, and members paying with cash or a non-Nordstrom card receive one point for every dollar spent. Customers also have access to new product launches, be “First to Shop” the company’s off-price clearance event, Clear the Rack, and more. Through the Nordstrom app, customers can collect Notes faster at $5, $10, and $15 increments or wait to be issued a $20 Note. The program will continue to offer Personal Bonus Point Days and Nordstrom Notes spending rewards. 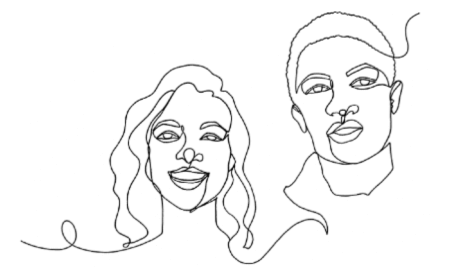 Along with the new rewards and services, The Nordy Club offers personalized experiences for every customer, highlighted by an experience enabling them to create their very own ‘Nordy Portrait’. The Nordstrom App features an integrated, dashboard allowing customers to easily see and interact with the loyalty program– providing access to their status, points balance and spend-to-next-level at all times, including seeing what Notes are available to redeem on the spot and the ability to schedule their Personal Double Points Days. 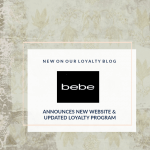 Member ($0 – 500): All Members get “First to Shop” select brand and product launches, access to beauty and style workshops, free basic alterations, and can reserve online and try on in-store or use curbside pick-up. 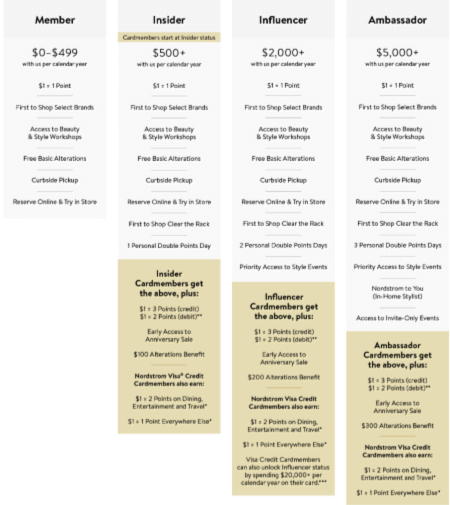 Insider ($500+): Member benefits plus a personal bonus points day and “First to Shop” Clear the Rack sale events. Influencer ($2,000+): Insider benefits plus an additional personal bonus points day and priority access to style events. Ambassador ($5,000+): Influencer benefits plus a total of three personal bonus points days, access to invite-only events, and the use of Nordstrom to You – In-Home Stylists. There is also an invite-only Icon status for top Nordstrom Cardmembers, giving access to more exclusive experiences. Nordstrom’s current Level 4 customers automatically received Icon status when the new program was launched. While The Nordy Club provides greater accessibility to status and benefits for customers that choose not to own a Nordstrom credit card, Nordstrom Cardmembers will continue to receive much more from the new program. In addition to the benefits above, Cardmembers receive a $40 Bonus Note upon credit approval, automatically receive Insider status, and get an annual $100 alteration benefit – which increases by $100 with each status tier. Customers using the Nordstrom Visa card, which can be used anywhere Visa is accepted, will earn two points per dollar on dining, entertainment and travel, and one point per dollar at all other retailers.